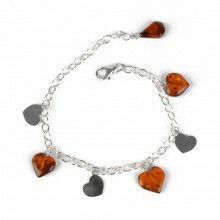 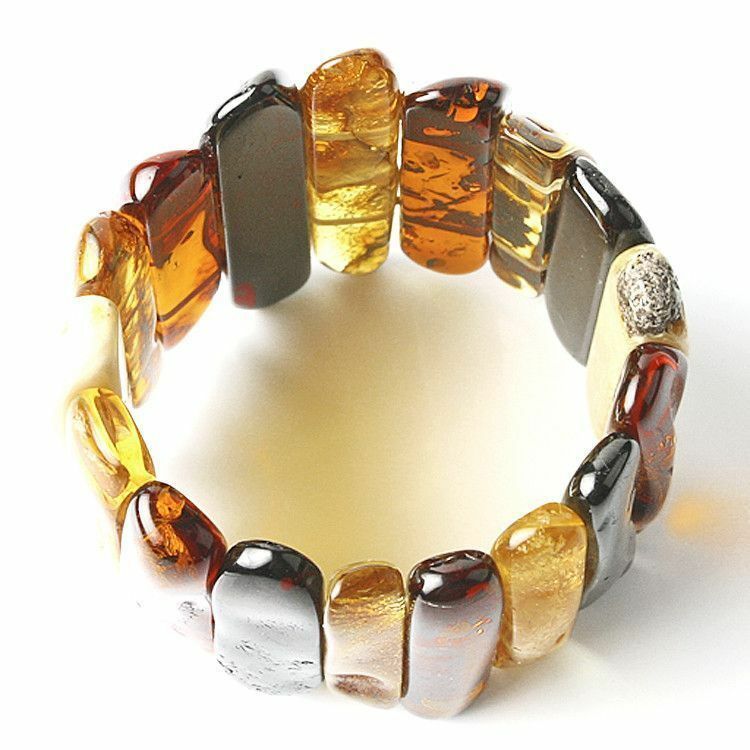 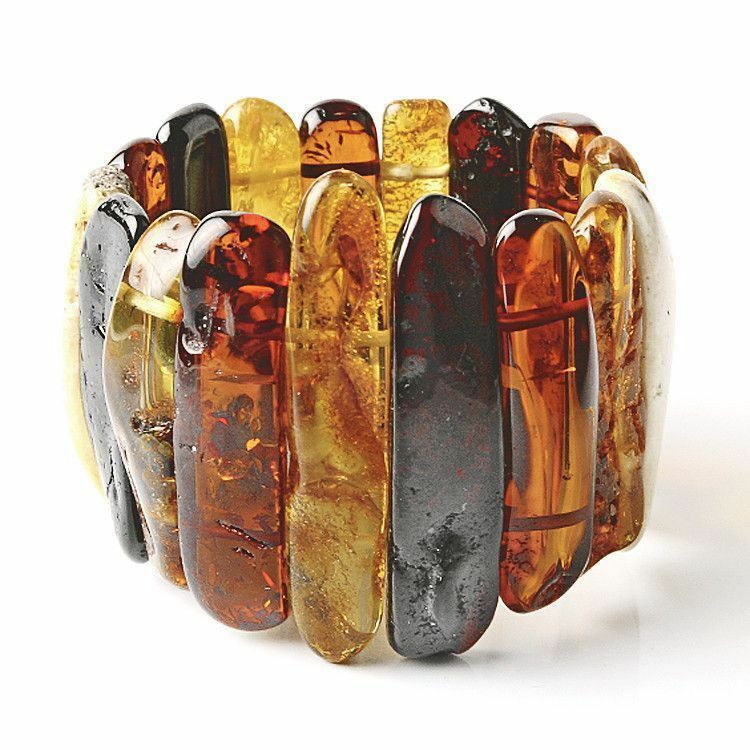 This one-of-a-kind stretchable bracelet features individually selected pieces of amber strung together on elasticized cord to form a complete circle of amber around your wrist. 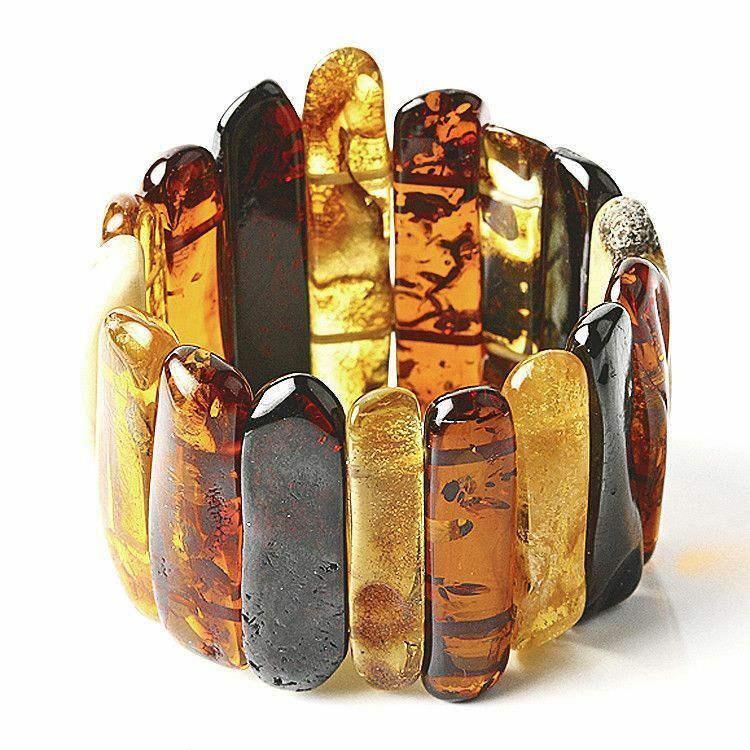 Each hand-crafted piece of amber features unique color and texture. 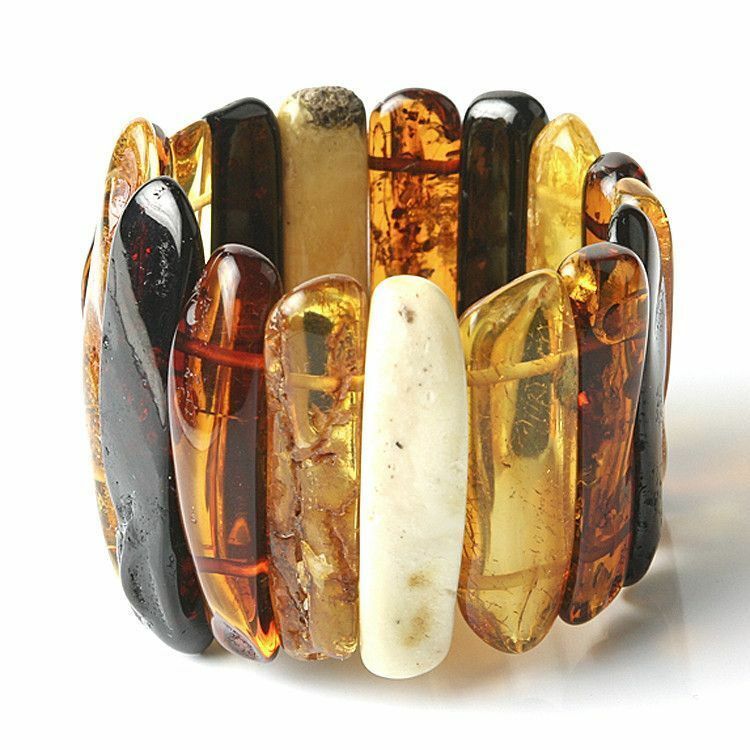 The natural beauty is enhanced by natural cracks, grooves, and inclusions, making this chunky bangle bracelet truly unique.